We’d be sounding like a broken record if this post were to start off with a lengthy intro on our distaste for 4-door supercars like the Porsche Panamera and the Aston Martin Rapide. If you’ve read the blog, you know we don’t like them one bit. But we may have to start dealing with it, because soon that list will soon have another name added on it. 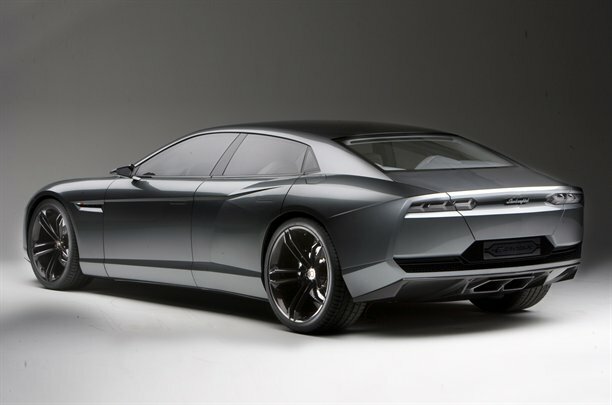 Yesterday, Lamborghini’s CEO, Stephen Winkelmann, revealed that the company has given the green light for production to their 4-door Estoque. Why is this a bad thing? Well for starters, it’s ugly, stupid, and shows that the raging bull of Lamborghini has been tamed. Additionally, the Estoque shows that Lamborghini is making a move that’s more akin to pleasing shareholders than pursuing their passion for building incredible sports cars that are performance oriented- not family oriented. But as much as a 4-door Lambo leaves a sour taste in the mouth, it’s better than the other option the Italians were considering. In the late 80s, early 90s Lamborghini manufactured the LM002 (pictured below). Yes, this was a Lambo SUV and, surprisingly, it actually embodied American automotive traditions rather than anything Italian. It was extremely heavy, had a massive engine (7.2L V12), performed terrible, far too big and ugly, and got gas mileage that would make a Hummer blush. And guess what! Lambo was considering bringing it back! Of course, it would have been a much better designed SUV if the did bring it back, but an SUV nonetheless. Lamborghini has said that they’ve wanted to add one more car to their current two car lineup, and the choices were either a 4-door sports sedan or a big, stupid SUV. And while we think that both choices effectively bastardize the Lamborghini brand, we’re thankful that they chose the lesser of two evils. One final note: stuff like this makes us so glad that Ferrari has promised no 4-door nonsense ever. That’s why we love them. Britton Kowalk on December 3, 2010 at 11:41 pm. Car guy on April 22, 2016 at 1:32 pm. Ferrari has made 4 seat cars for your information. Just check the Ferrari Mondial and the Ferrari 456 for instance. You might wanna check your sources before posting things that aren’t true in an article. P.S: The Ferrari 456 was very well executed btw, much better than that piece of crap lambo concept in your article, which btw didn’t happen cause you posted this in 2010 and now it’s 2016.